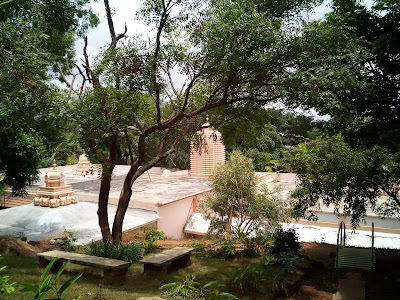 On our search for tourist locations in Bengaluru , we got information about Sridhara Sri Gudda ( Gudda in Kannada means a hillock ) which is located in Kodipalya , Kengeri. This is a centre for Self Realization - which houses an ashram , meditation center , a temple with unique idols and parks. Hence we left to explore this spot on a sunny monsoon morning. We took kanakapura road - BSK 6th stage route to reach this spot. There are bus services to this location. 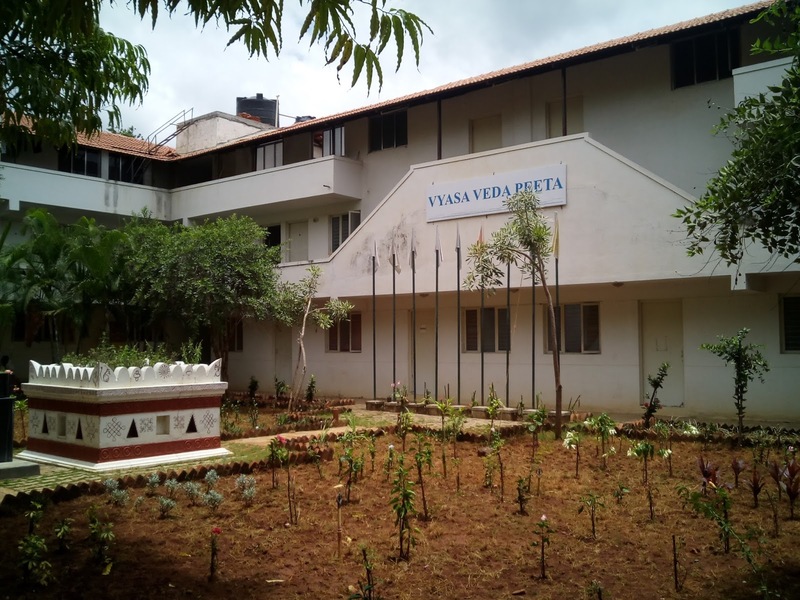 This is on the way connecting BSK 6th stage and Vishnuvardhan road connecting to Rajarajeshwari nagar and Uttarahalli. It is open for visitors between 7 AM to 12 PM and at evening between 5 to 7.30 PM. At the entrance we noticed an arch board "Vyasa Veda Peeta" , on entering which there was ample space for parking. 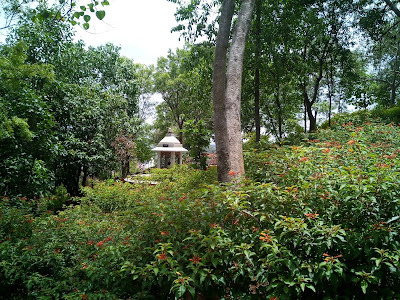 The area seemed to be spread around 4-5 acres with lush plantations and trees all around keeping the location cool with chirping sounds of birds and insects. 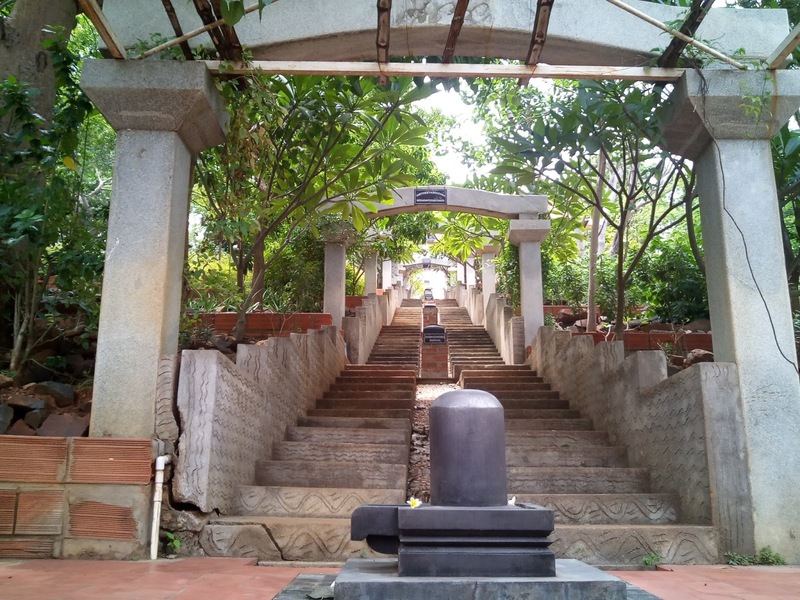 Temple : This temple unique of its kind houses idols of Lord Shiva ling known as Karuneshara Linga , Shiva Shakthi Chaitanya ganapathi , Bhudevi , Karunakshi , Chaitanya Skanda , Maha Meru. Many devotees conduct special program and recite sthothras here. 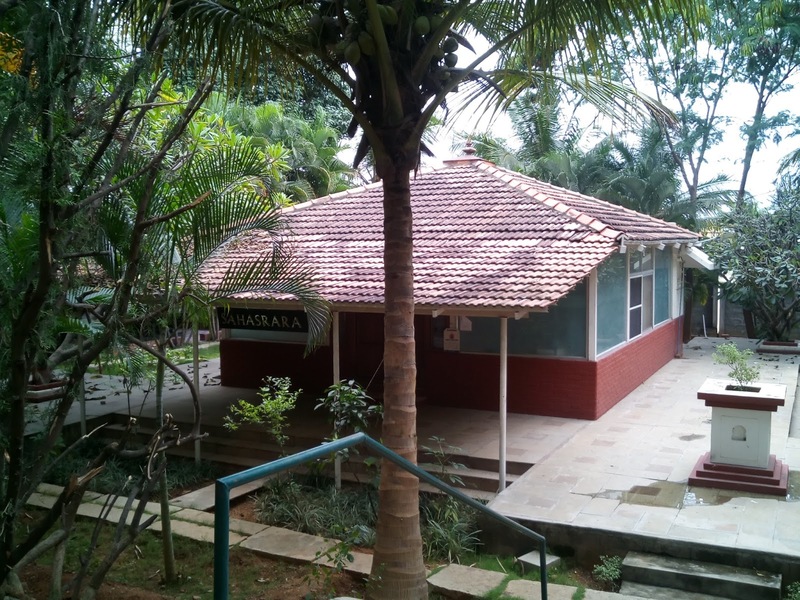 Sahasrara : A place for meditation where the ambiance is kept very sacred and serene. Navagraha Vana : An unique park which houses gopuras of Nava grahas ( 9 planets ) over a hillock which forms the backdrop of the ashrama and is one of the main attractions here. There is also a temple for Lord Shaneshwara on top of this hillock. 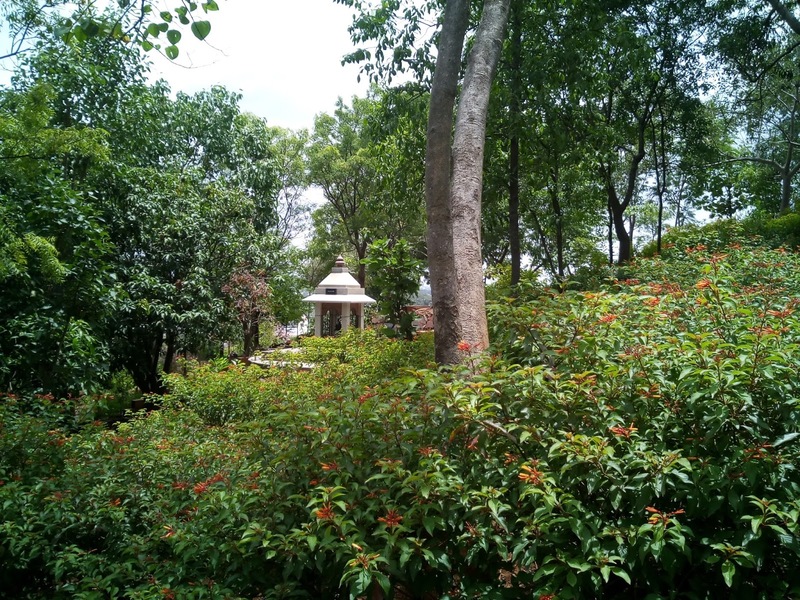 This spot is fully filled with lush green plantations and is good for a cool stroll. 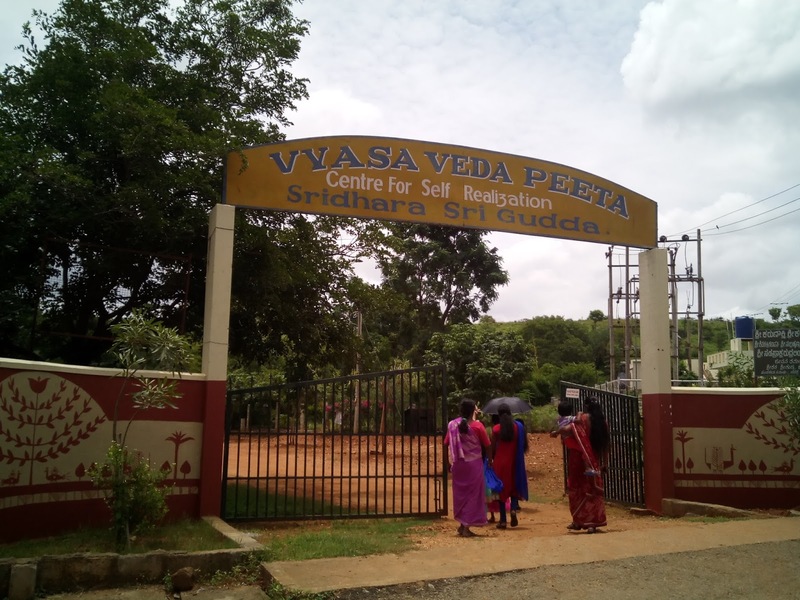 Vidya Peeta : Here classes are conducted on Vedic science , Vedas , Ayurveda and Satvik foods. 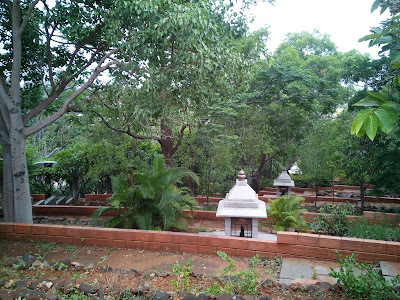 Overall a very nice place to visit for those who like to meditate , seek mental peace and silence , relax in the midst of nature. Do visit here and share your experiences. 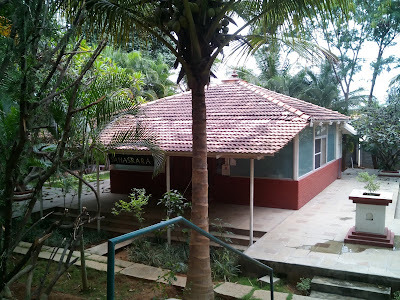 Thanks for sharing this information about many tourist places of Bengalore. 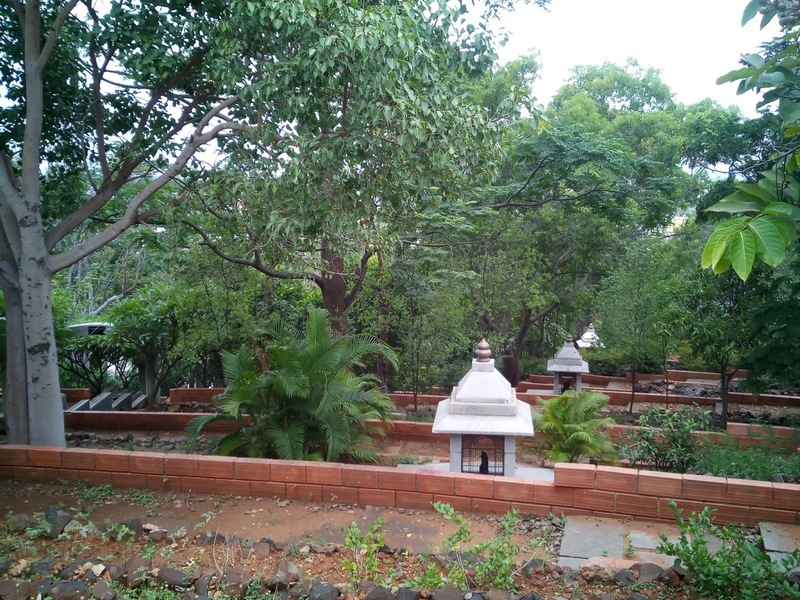 You have many options to visit Bangalore. There is Kempegowda International Airport through which you can visit via flight. Our taxi services in Bengalore is available which provides cheapest airport in Bangalore. Share your comments here !! Share your comments,articles - thinkbangalore@gmail.com. Powered by Blogger.